Talk about some dramatic highs (EWU) and lows (um, the Seahawks game) — this weekend had a little something for every emotional state Inland Northwest sports fans might have felt. Let's break it down. Eastern Washington is in the final four of the FCS playoffs, and host Youngstown State on Saturday. Talk about your rude welcomings. The Richmond Spiders traveled across the country to play Eastern in a FCS national quarterfinal only to be greeted with some seriously wintry conditions, and team ready to smash them like the bugs they are. The Eags didn't bother with the slow starts of recent games, jumping on Richmond early, taking a 21-0 lead into halftime, and ultimately rolling to a 38-0 emphatic win to advance to the semi-finals. The guys who have led the Eags to their 12-1 record did their typical business — Gage Gubrud, Cooper Kupp, Shaq Hill and Jabari Wilson all contributed — but the defense was the big story, pitching a shutout for the first time since 2009. 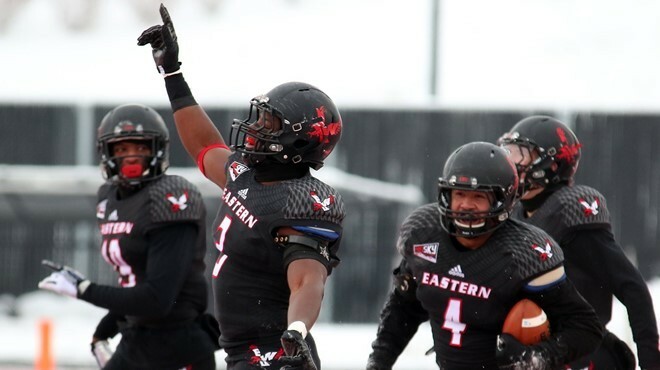 EWU will host Youngstown State on Saturday for a chance to play in the national championship game in January. This Saturday's game is at 3:30 pm, and will air on ESPNU. The Big Takeaway: If EWU's defense can play at the same level as its high-scoring offense, there will be another national championship trophy coming to Cheney next month. What to say to your Eags' fan friends today: "What kind of gear do I have to wear to be outside in 7-degree weather for four hours?" Russell Wilson was better off holding the ball than throwing it on Sunday. The less said about the Seahawks game on Sunday, the better. Suffice to say, if Russell Wilson throws five interceptions in a game against anyone, chances aren't good the Seahawks will win. Do it on the road against a hot Green Bay Packers and Aaron Rodgers? Ya, that's not going to go well, and it didn't. The Seahawks got smoked 38-10, with the turnovers putting the defense in tough positions all day, Earl Thomas's absence being obvious in the secondary, and Seattle getting virtually nothing going all day. While the loss doesn't risk the Seahawks' division lead, especially after the Cardinals lost, too, their playoff seeding is precarious, as the Lions now hold home-field advantage and the spot for a first-round bye over the Seahawks. The Big Takeaway: Not rocket science — turnovers kill even good teams. The Seahawks have to turn around and play at home Thursday against the Rams, a chump team that always gives Seattle headaches. What to say to your Seahawks' fan friends today: "So, what time did you turn off the game?" 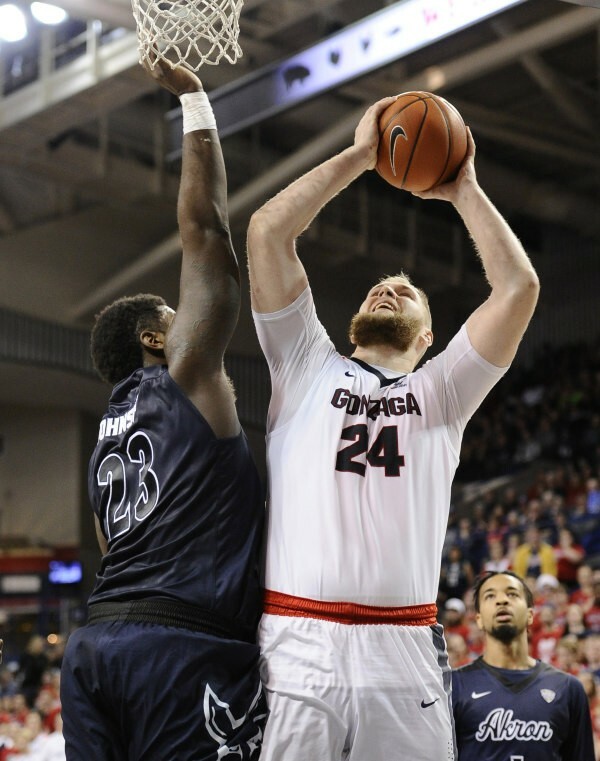 Przemek Karnowski led the Zags to a win over the Akron Zips on Saturday. No doubt many Zags fans didn't figure a game against the Akron Zips the weekend before finals would be as tough as it turned out to be. But anyone who watched on Saturday knows that the final 61-43 score is not indicative of how competitive the game really was. The Zips played physical ball on the inside, had some decent outside shooting and kept it close up until the final minutes. Even so, the Zags still managed to post their first 10-0 start to a season since 1958 on the strength of Przemek Karnowski's 14 points and eight rebounds, both of which led the team. The Zags now pause until taking on Tennessee in Nashville on Sunday. The Big Takeaway: Gonzaga is clearly a Top 10 squad heading into the West Coast Conference season. What to say to your Zags' fan friends today: "I hope we don't play the Zips in March Madness."